As an anthropology student at Barnard College, in one of my classes on medical anthropology we were studying conceptions of illness, and the place of sickness in society. We read books such as Susan Sontag’s Illness as Metaphor and Robert Murphy’s The Body Silent. On one particular day in class, we were instructed to divide ourselves into groups. Each group was to have one person with a “disability”—one person on crutches, one man in a wheelchair and one woman in wheelchair. Our task? To cross the campus, stopping to use the rest room and end up across the street at the Columbia gates. A seemingly easy task, and something I did everyday on my way to my classes. Yet, what happened was much different than I anticipated. 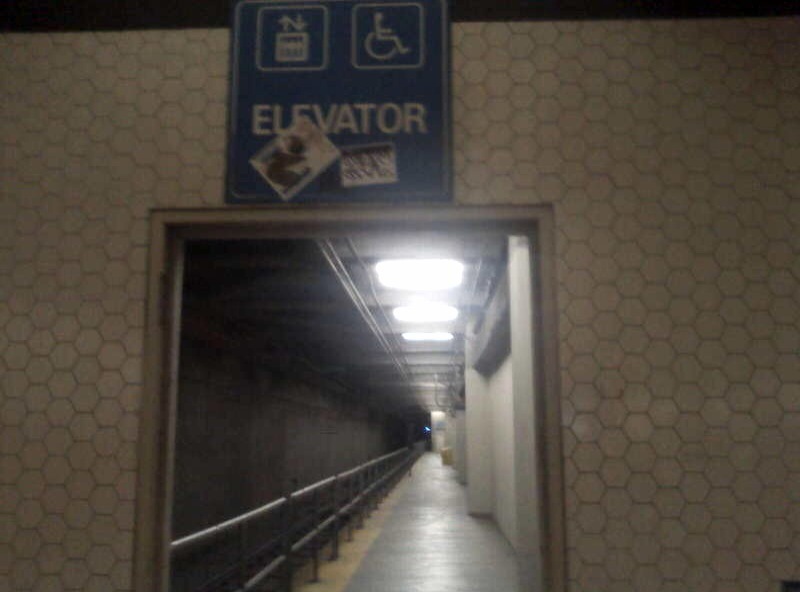 I was shocked at how difficult it was to get through doors, how difficult it was to find alternative, non-stair routes, and how difficult it was to get into a bathroom stall in a wheelchair! As Barnard is a woman’s college, the male student had a particularly difficult time finding a handicap accessible men’s room. In addition to the physical difficulties, what were most interesting were the social interactions we experienced along the way; some curious observers, some who smiled, and others who seemed to ignore the “disabled” person. My experience in this class has stayed with me into my current practice as an Internist and most recently as a Geriatrics fellow. Most recently, this experience became even more important as I have faced my own temporary disability after a skiing accident. I was forced to realize how much I take for granted my mobility, and my ability to live independently. So much of how I define myself and how I move about the world is dependent on my ability to move about un-tethered and independently. As I took the 38 Geary from the VA—where I work, to my home, and as I was lifted onto the bus on the ramp, and as I experienced the complications of transferring from bus to underground MUNI while trying to find the down escalators and elevators that seem to be placed in the most inconvenient and furthest from train platforms, I quickly became frustrated and angry. I could have taken a taxi home as my friends and family urged, yet I decided to see what it is actually like to have a disability—even if temporary—and travel by public transport. An hour and a half later, exhausted—both physically and emotionally—I arrived home. This is temporary, I reminded myself—yet each minute, hour, day spent with the lack of freedom to move around easily seemed unending. I also realized how quickly my social interactions seemed to change with my new apparent disability. As I made my way on the bus through downtown San Francisco, people stopped to comment on my crutches, and the difficulty of walking down the street. It is not usually that people stop and talk to you on the busy downtown streets. Even when just getting on the bus at the VA, one of the Veteran’s showed me his prosthetic leg and once he figured out I was a doctor at the VA, asked me “how does it feel, doc.” After a brief conversation, he told me that this was a good experience for me—so that I see what some of my patients may be going through. I think he is right. Though I know that a temporary disability is not the same as permanent one, and though my disability may not compare to others, this brief experience has made me think a bit more about what some of my patients may go through. I pride myself in advocating for my patients and this experience will help me do so even more. I urge all of us, if one of our patients is late, and if they have a functional limitation, or disability, will we accommodate them and see them, even if it means we’ll stay late in clinic? Will we do more phone visits to save them one trip across the city? Will we make efforts to fill out a disabled placard? Will we understand and empathize more if our patients are experiencing sadness or depression as a result of their functional decline? I hope so. I love the idea from your medical anthropology class. What if medical students were forced to experience disability (clouded glasses, ear plugs, wheelchairs) - how would that change their perceptions of older americans? I experienced someone living with disability first-hand when I cared for my father after his intracranial hemorrhage. He lost use of his dominant right side and his expressive speech as well, while retaining full comprehension. We lived through 8 years of environmental barriers, limiting where we went and the frustration of "knowing what he wanted to say and not being able to say it" together. I am proud to say that my full-time job as a medical director for my hospice is making housecalls to our patients! Wonderful post. A while back, i fractured a bone in my foot---in the world of orthopedic injuries, it was kind of minor, but for a week or so, every step hurt. I remember feeling a sense of despair every time I encountered a stairwell. I think an important lesson you are teaching us is that as Geriatricians, our mission has to go far beyond preventing and trying to reverse functional impairment. We need to think more about how to improve quality of life in our patients with disability, and put much more effort into advocating for aging and disability friendly environments. Thoughtful post Carla. This glimpse into the lives of people living with disability may be as important in training as a week of clinic. That would be a great video Alex! You could be trying to get to the bathroom after all the laxatives!